Enjoy the outdoors, connect with your buddies and get great exercise! Jayah Faye Paley is a mobility coach, ACE & AFAA certified personal trainer and educator. She teaches for many organizations including State and National Parks, East Bay Regional Park District, Point Reyes National Seashore and many city, county and community agencies. Jayah will be making special appearances at Moving Day® San Francisco on Sunday, April 19 at Justin Herman Plaza and at Moving Day® Silicon Valley on Saturday, April 25 in San Jose at the Arena Green East, starting at 9:30am. 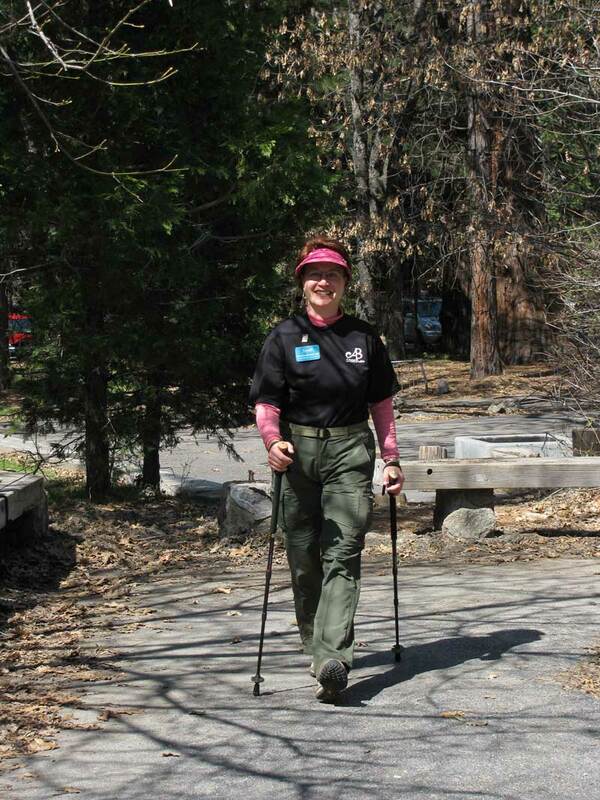 She will be showing and demonstrating different models of poles and tips – including special poles and tips for balance.